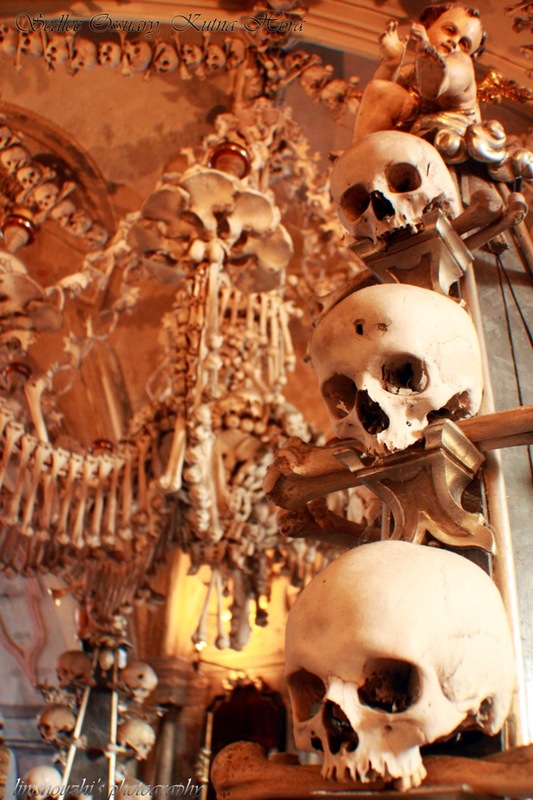 The main reason why I wanted to go there is because of this, Sedlec Ossuary or a.k.a the Bone Church! What can you imagine from the name? Kutna Hora, another city in Bohemia, which was famous for its silver since centuries ago, among the most important buildings in the area are the Gothic, five-naved St. Barbara’s Church, begun in 1388, and the Italian Court, formerly a royal residence and mint, which was built at the end of the 13th century. The Gothic Stone Haus, which since 1902 has served as a museum, contains one of the richest archives in the country. The Gothic St. James’s Church, with its 86 metre tower, is another prominent building. 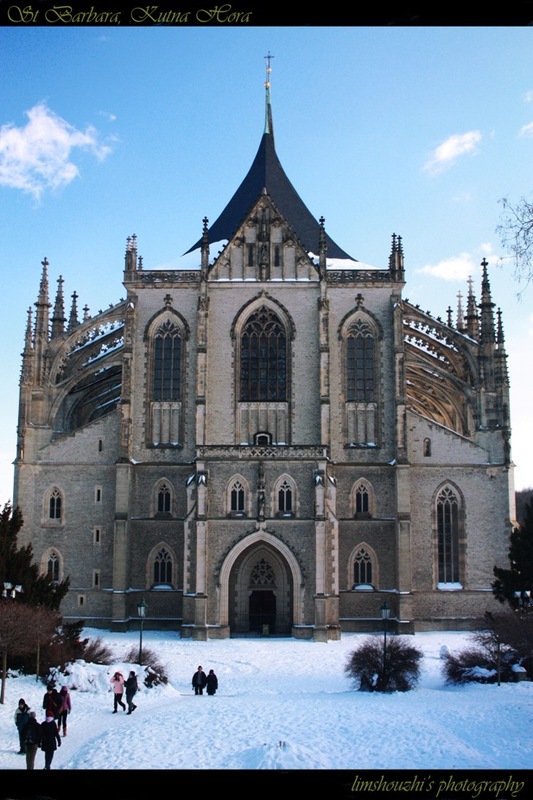 Sedlec is the site of the Gothic Cathedral of Our Lady and the famous Ossuary. 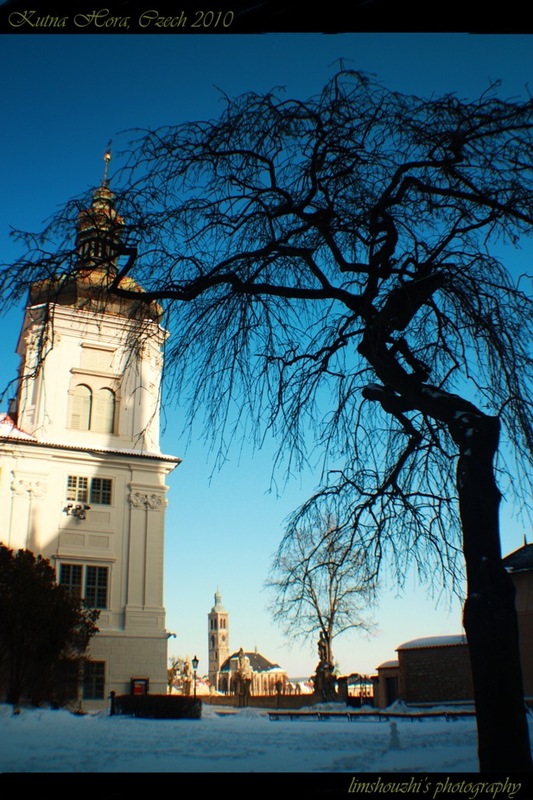 It is easy to go to Kutna Hora, the easiest way no doubt is following the tour from Prague, but you have to pay more for it. 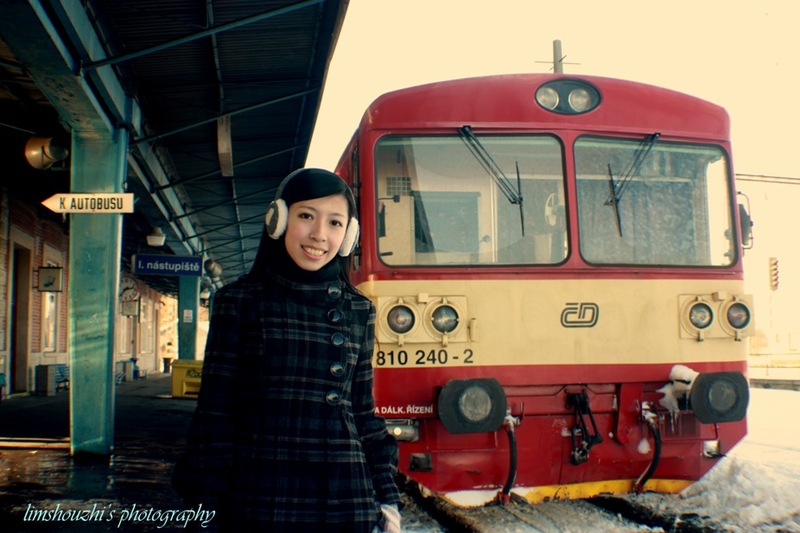 Another alternative way is to travel by yourself, which I did, to save my budget. 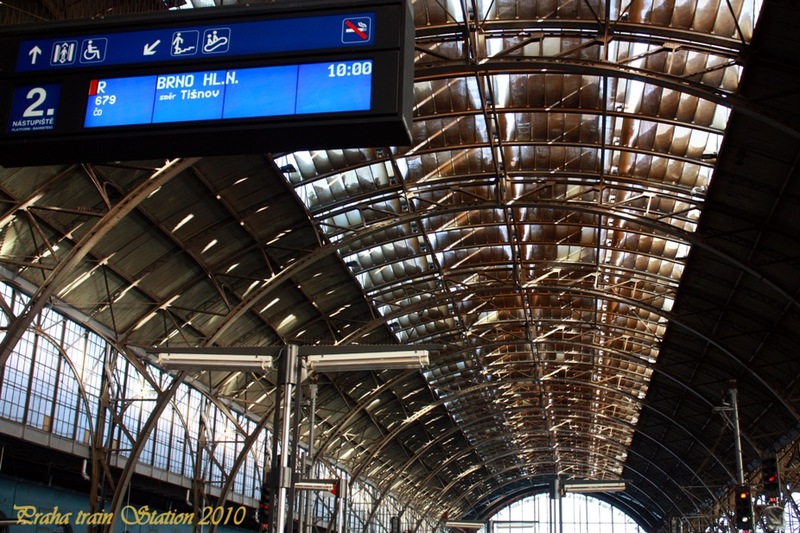 The earliest train to Kutna Hora is 10am, you just need to get the ticket before 10am and get on the train number 679 to Brno (You will get off approximately 55 minutes after departure from Prague). How much for the ticket? Sorry i can’t tell you because as mentioned earlier, my travel diary was stolen on the day tour in Berlin. But for sure it is cheaper than the tour. Take a picture of the map at the exit upon your arrival at Kutna Hora Train Station! It makes your travel easier. 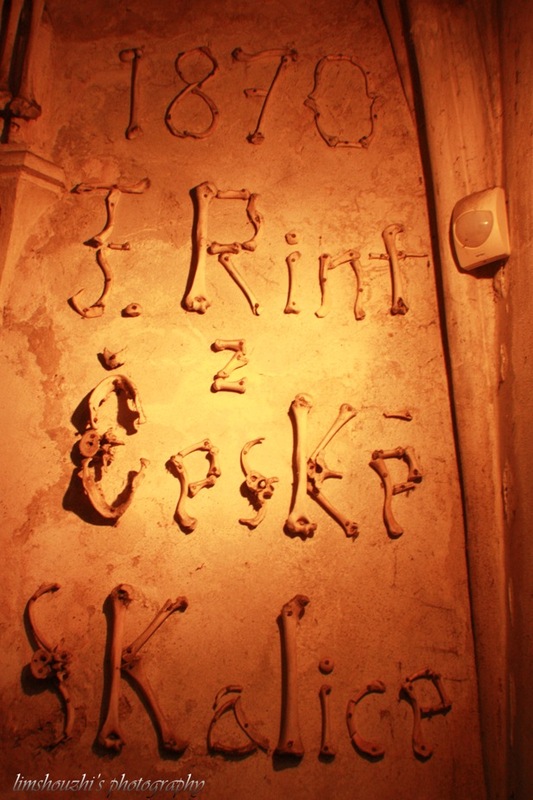 My advice, if can, try to avoid travel in Kutna Hora on weekend! 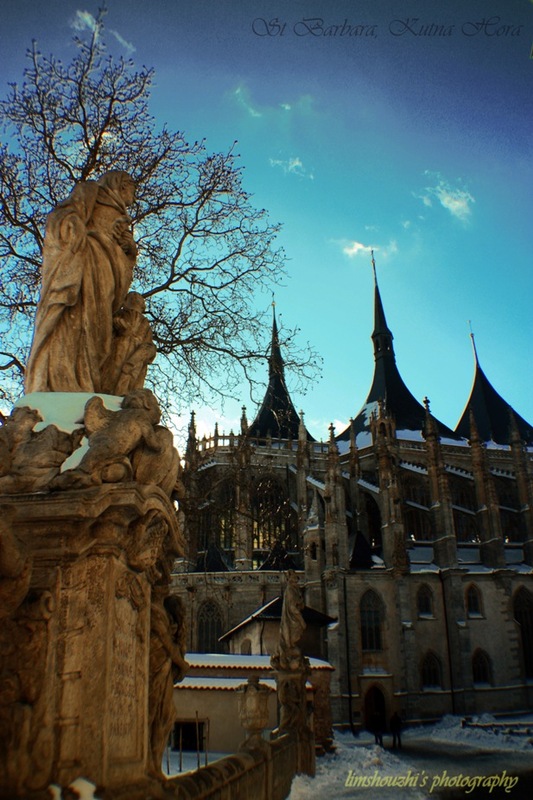 It is because the bus services are cut half compared with week days, if you miss the bus, you’ll have to wait for 2 hours to catch another bus, that’s the hardest part in travelling around Kutna Hora because the distance between St Barbara Cathedral and Sedlec Ossuary is 4km! Walking is possible like what I did, but it took about one and half hour to reach. 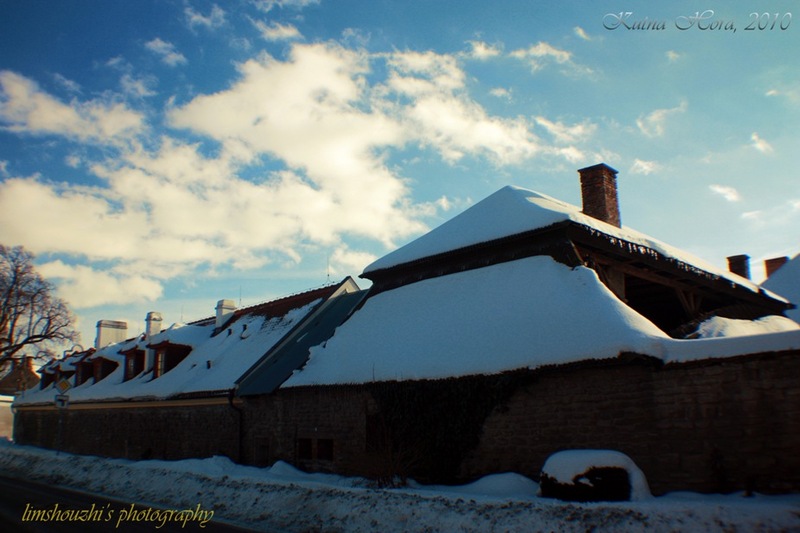 (Some more it is hard to walk in the snow in winter time) Of course, it is easier as there are bikes rent in summer. 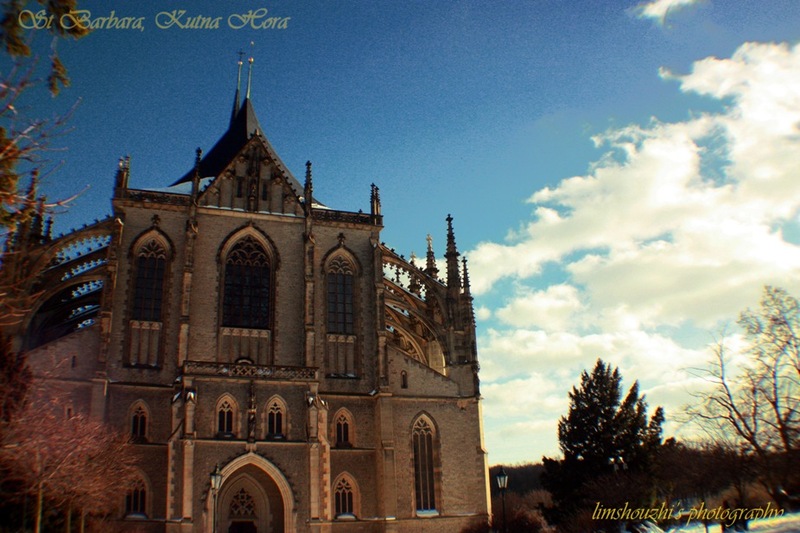 Kutna Hora is a very very beautiful city, picturesque and tranquil. It is an ideal place for those city dwellers to escape from the hustle and bustle of the concrete jungle. St Barbara Cathedral, built since 14th century and completed in 16th. And what unique about this cathedral is that it was designed by the same builder who built St Vitus Cathedral in Prague, John Parlor! It is worth visiting because it is one of the most famous cathedrals in Europe! 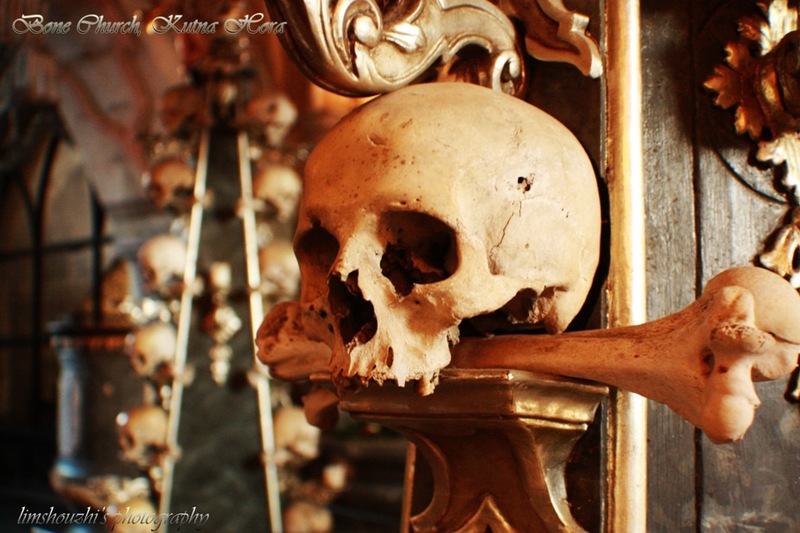 Sedlec Ossuary, the next destination that you mustn’t miss! It is believed that approximately 40000 to 70000 skeletons were settled here, which make this small church look so fascinating and attractive. 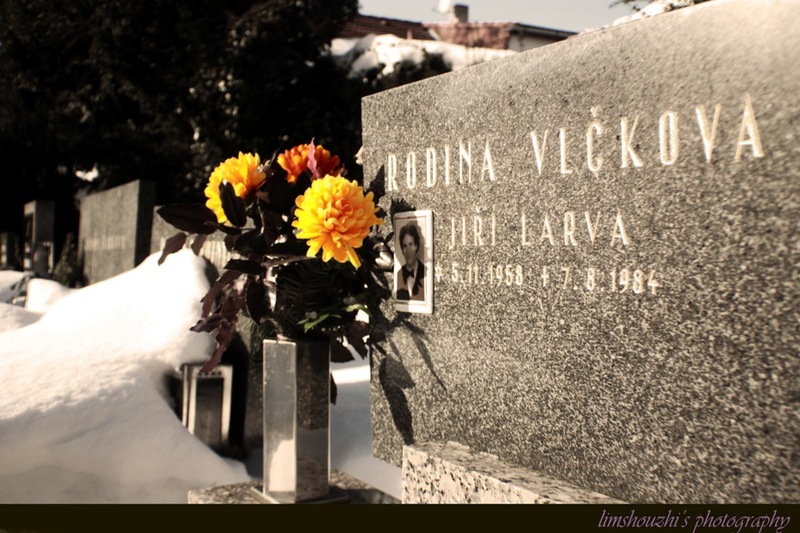 The reasons why there were so many corpses buried here is because in 1278 the Cistercian abbot of Sedlec, Henry, traveled to Palestine and the ‘Holy Land’, bringing home a sample of earth from Golgotha which was later he sprinkled over the grounds of his local cemetery upon his arrival. The grounds were immediately considered sacred, and hence became a much sought after location for relatives to bury their dead. In the 14th century, the Black Death spread the bubonic plague across Europe and now 30,000 bodies all wanted a resting place within the sacred grounds, up until more corpses during Hussite Wars in 15th century. In order to make space for the new corpses, the monks gathered up the bones to stack up within the ossuary, this is what we can see today in the ossuary. 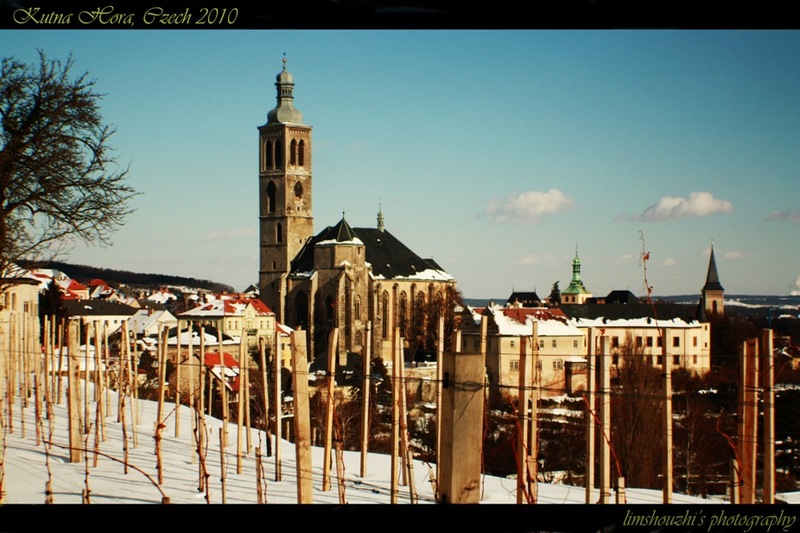 How to get back to Prague? 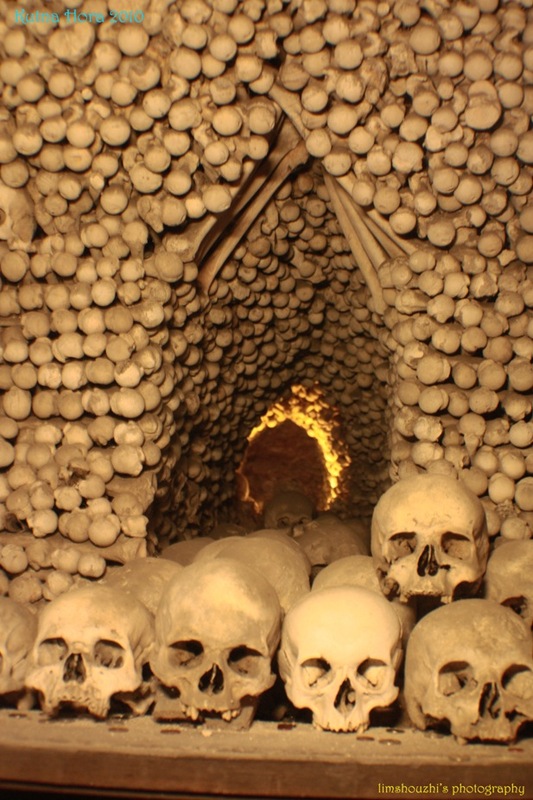 Once you reach Sedlec Ossuary, the train station is only 10minutes of walking distance. 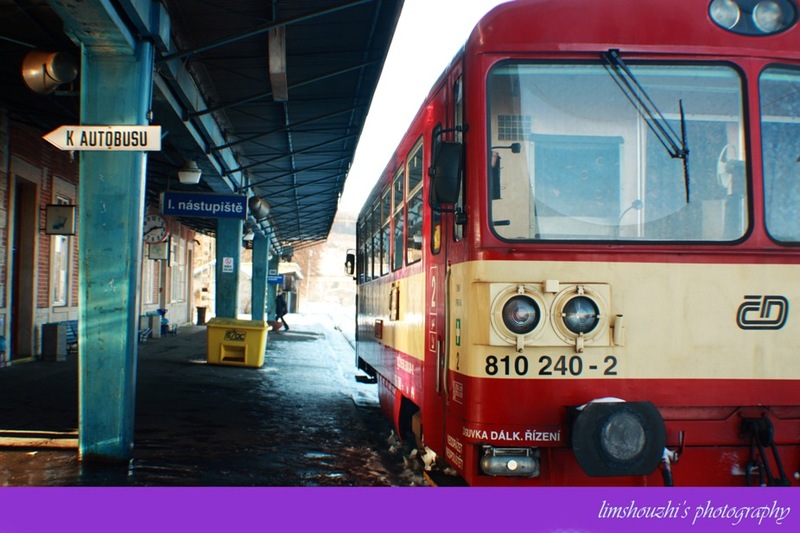 And the time table for the train from Kutna Hora to Prague is at 1pm and 3pm, (Information which I got) For more information, you can log on to www.idos.cz. Well, that’s all for this entry, it’s time to say goodbye again, and I really hope you enjoy reading it. If you got any information that you would like to share with me and the readers, please feel free to drop me a line or two. 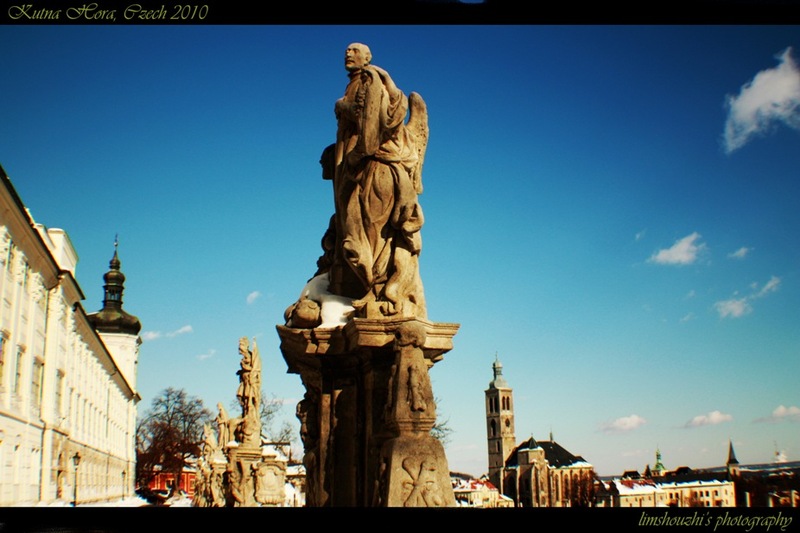 For my next entry, I’ll tell you about another city in another country, this time it’s Wroclaw, Poland, stay tuned! 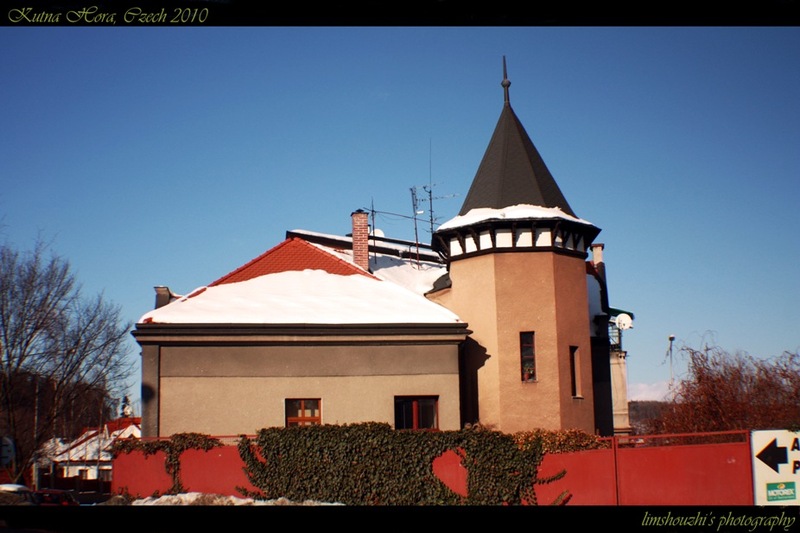 This entry was posted in Photography, Travel and tagged Bohemia, Brno, Cathedral of Our Lady (Chrám Nanebevzetí Pany Marie), Church of St. James (Kostel sv. 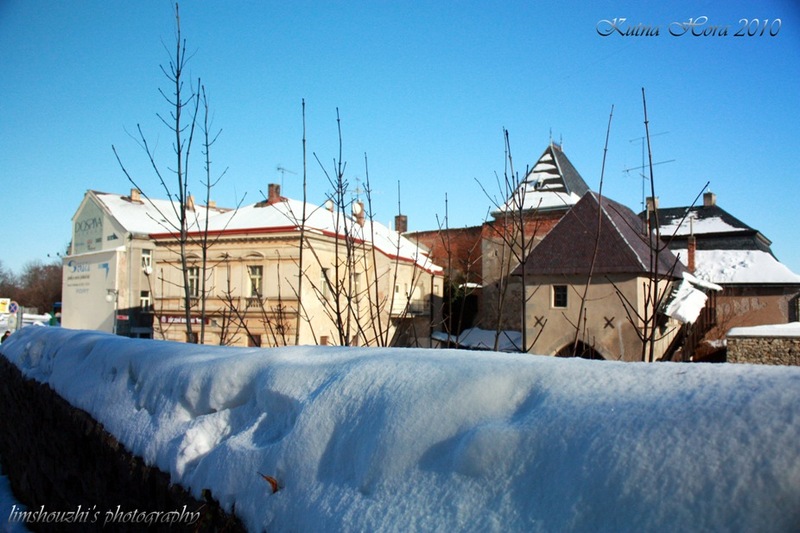 Jakuba), Church of St. John Nepomuk (Kostel sv. 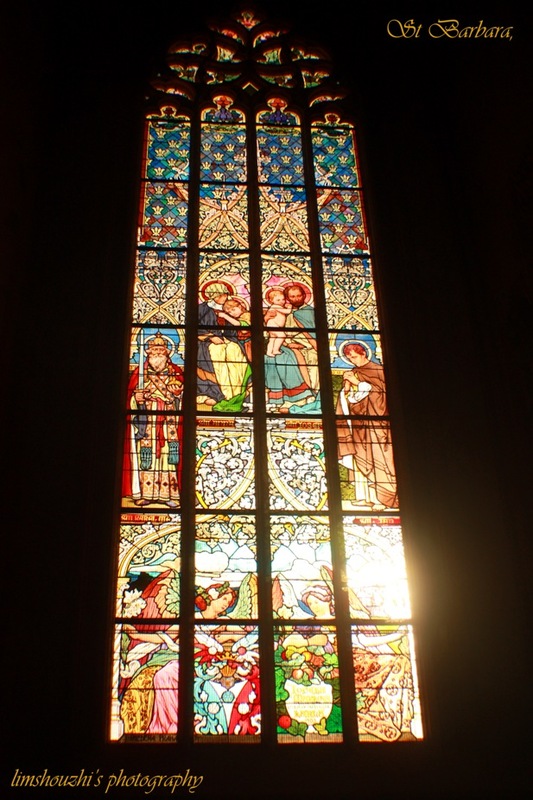 Jana Nepomuckého), Church of Ursuline Convent (Kostel Kláštera Voršilek), Czech Republic, Italian Court (Vlašský dvůr) and Marian column (Morový sloup), Jesuit College (Jezuitská kolej), John Parlor, Kutna Hora, Prague, Sedlec Ossuary, St. Barbara's Church. Bookmark the permalink.